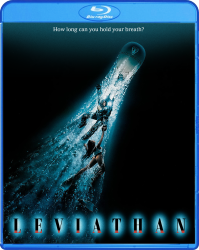 Product Note: The limited edition poster is SOLD OUT. RoboCop returns to fight his toughest opponent yet: his replacement! 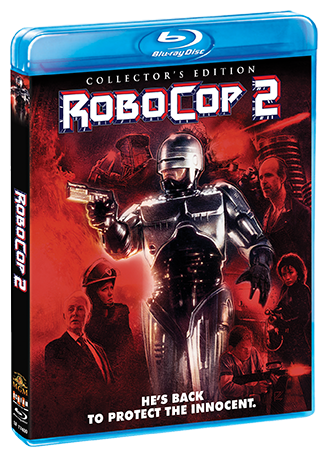 RoboCop 2 pits two unstoppable cyborgs against each other in a battle to the death! 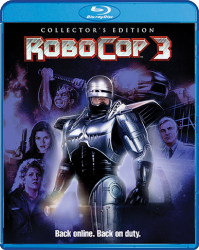 When Detroit's descent into chaos is further compounded by a police department strike and a new designer drug called "Nuke," only RoboCop can stop the mayhem. But in his way are an evil corporation that profits from Motor City crime and a bigger and tougher cyborg with a deadly directive: Take out RoboCop. Containing the latest gadgetry and weaponry as well as the mind of the madman who designed "Nuke," this new cyborg isn't just more sophisticated than his predecessor... he's psychotic and out of control! 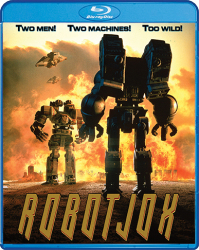 And it's going to take everything RoboCop has – maybe even his life – to save Detroit from complete and utter anarchy. 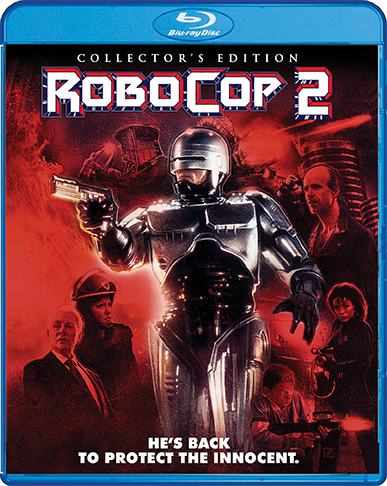 NEW Corporate Wars: The Making Of ROBOCOP 2 – Featuring New And Vintage Interviews With Director Irvin Kershner, Producer Jon Davidson, Cast Members Tom Noonan, Nancy Allen, Galyn Görg, Executive Producer Patrick Crowley, And More!